Only one-third of sales reps meet or exceed quota, and only 10 percent are consistently high-performers. What can a company do to increase performance and see bottom-line results? Well, a modern selling strategy requires modern sales tools that often mean the difference between a deal and a loss. 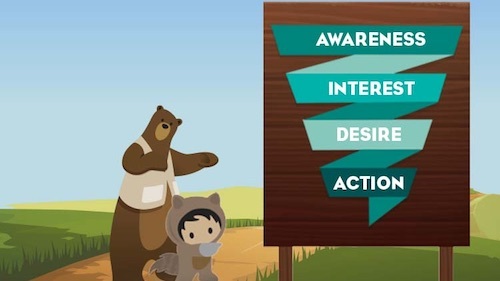 If you can relate to one or more of the following, you may want to consider a sales enablement tool for your organization. Onboarding is intended to quickly get reps up to speed. Unfortunately, it takes about 7 months and almost $30,000 to recruit and onboard a new salesperson — and 87 percent of that training is forgotten within weeks. With the right tools in place, an organization can decrease ramp-up time by at least 30-40 percent while increasing productivity and reducing mistakes. Sales enablement tools further empower your sales team with content and just-in-time sales guidance, enabling them to learn about complex products and services quickly, and with a level of knowledge deep enough to make the sale. Sales productivity is the #1 challenge for almost 65 percent of B2B organizations, according to The Bridge Group. Sales team productivity has a direct and significant impact on revenue. Less than one-third of a rep’s time goes to core selling. Time spent on unproductive, repetitive, or non-best practice tasks is time spent not selling. Any process you can automate saves time that reps can dedicate back to core selling activities. For example, a CRM can simplify sales processes and automate workflows, increasing productivity by 32 percent. Today’s B2B sales environment has diminished the effectiveness of simply pitching products. Instead buyers expect an individualized purchase process and solution that takes into consideration their unique challenges and priorities. It is important to understand your audience and how to tailor the sales process for relevance and value, a task that over 40 percent of sales reps are unable to do effectively. Personalization has come to refer to a scientifically-driven approach that matches content, messaging, and sales strategy based on factors such as persona and stage in the purchase process. A sales enablement tool should use predictive analytics to proactively recommend next steps by sales situation, customizing the buyer experience and adding value to the sales conversation. The longer a prospect is stuck at a particular stage in the pipeline, the less likely it is they will advance and eventually close. Sales reps must create a compelling case for change and highlight the impact of not taking action (i.e. the ‘cost-to-delay’). Tools such as playbooks give reps direction about advancing prospects and using content effectively in their engagements. With just-in-time coaching, you can ensure reps have the guidance they need to further the deal. And collateral such as talk tracks, kill sheets, and persona-based selling tips can be instantly accessible to reps for any sales situation. Studies reveal 25-50 percent of forecasted deals end in no decision. The Sales Benchmark Index reports that 58 percent of these stalled deals are lost to the status quo, i.e. it’s easier to do nothing. One of the best ways to overcome the status quo is to offer value. B2B buyers look for vendors who understand their business and pain points. Sales teams that challenge and engage prospects are twice as likely to hit quota. Sales enablement tools recommend how to build a business case, helping reps to engage prospects with relevant, value-add collateral to advance the deal. 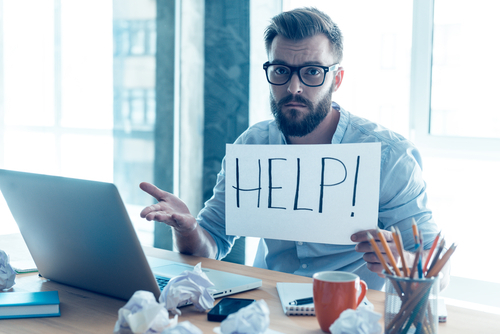 An IDC survey found that 90 percent of marketing content and resources are never used, and 88 percent of missed opportunities were because sales couldn’t find internal resources. Further, sales reps spend up to 30 percent of their day looking for or creating content to share with prospects. When 95 percent of B2B deals are influenced by content, reps must know what content to use and when. A sales enablement tool uses real-time data to determine what content is most effective at progressing deals and generating the highest ROI and then surfaces that recommended content. This allows sales reps to deliver the right message at the right time and keeps them focused on sales objectives. Studies from CIO Insights have found that making decisions without data undercuts sales, with 40 percent of survey respondents indicating that limited visibility into data hurts sales performance. A data-driven sales strategy is about decreasing costs, boosting productivity, optimizing effectiveness, and driving revenue. Organizations that use sales analytics increase quota attainment four-times faster than non-users. Sales enablement technology uses predictive analytics to determine how to message and who to message to, and then helps to replicate those best practices across the organization. These insights enable the entire sales team to operate like your A-team by helping reps understand what factors impact their successes, how to deliver relevant content, and what changes will improve performance. With relationship intelligence, your sales reps are more in tune with their prospects than ever. Download the free e-book to learn more about SalesforceIQ.